Cottage by the Sea has been described as a hidden paradise, but it's website didn't do it justice. 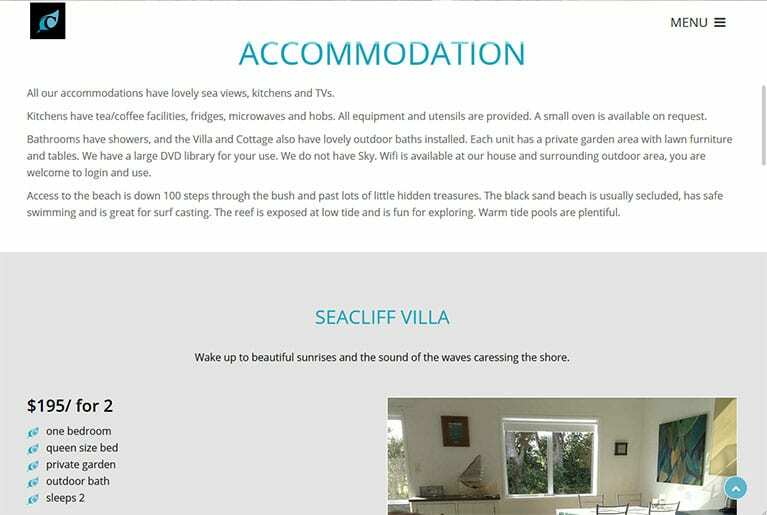 When Di and Maurice approached me to redesign their website the main focus was to create something that showcased what an amazing place Cottage by the Sea is! Users needed the ability to check accommodation availability, and book accommodation online. Very excited to see our revamped website up and running today.